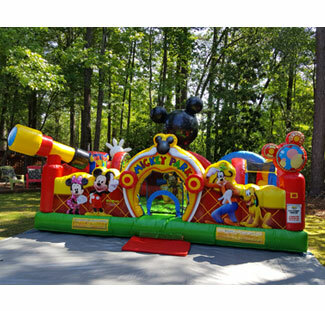 South Carolina’s best choice for inflatables, event rental equipment and so much more! Here you’ll find bouncers & moonwalks, carnival games, inflatable obstacle courses, water slides, and just about anything else you’ll need to host a great event. Whether you’re putting a backyard party, or a large corporate event, Wade Entertainment has the resources and experience to guide you through each step to a successful event. 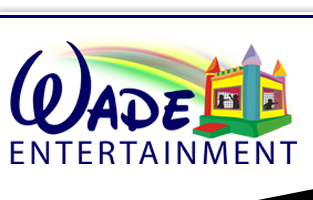 Wade Entertainment was started as a place for our children to work and to help raise some money for the WFJROTC program. Its has evolved into a full service event planning business. Take advantage of the professionals at Wade Entertainment today! Wade Entertainment is proud to introduce our new line of High Peak Tents, perfect for your next corporate event, wedding reception or family reunion! We also have a complete line up of classic tables, chair and accessories to make your event planning a snap. Carnival Games - What We Do best! 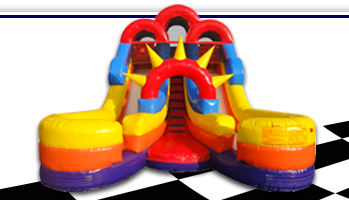 Wade Entertainment has long been know for our high quality, entertaining carnival games. 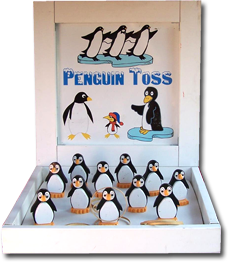 We have a large selection of themes that are great for all ages, like the Penguin Toss game shown here. Or maybe you have the little tikes attending, so you definitely want to have our “Duck Pond” on hand. That’s a toddler favorite. Follow the link below and browse through our quality constructed selection. You’ll be sure to find just the right games for your event. Get one or rent them all and turn a section of your event into an old-time carnival midway. Don’t forget the fun food. What’s a midway with out a Concession Stand? Corporate & Special Event Planners - Save Money & Time! If you are in charge of pulling together this year's company party or promotional Kick-off event, or maybe you have been charged with organizing a fundraising event, then you've come to the right place. Wade Entertainment is ready to provide you with the party professionals you need to make your job easier. With one call you'll have access to resources for everything you'll need. Our party professionals will also be able to guide you though the maze of party equipment, concessions and attractions you only know you need through experience. 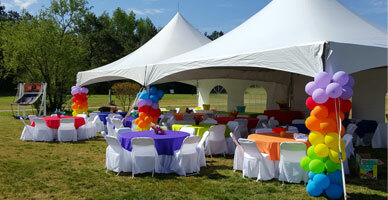 Call us today with your special event project!